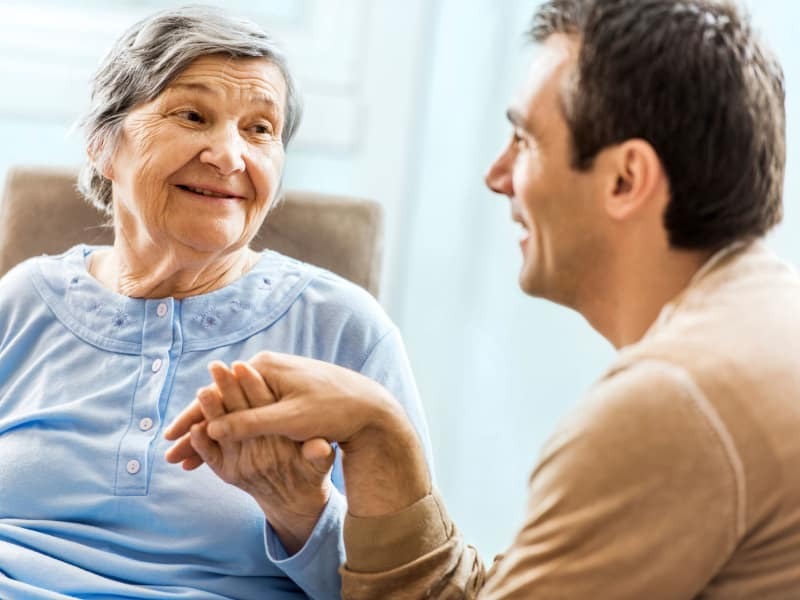 At The Neighborhoods by TigerPlace, it is our honor to support our residents and their families during all stages of life, including the end-of-life journey. Our goal is to make our residents’ remaining time as comfortable and as meaningful as possible. We partner with the best hospice and palliative care providers in Columbia to create a circle of support around the entire family. We understand that this time can be emotionally taxing for everyone involved. However, it can also be a time of reflection, retelling life stories, and recalling moments of joy and laughter. We have found that creating these types of opportunities can be cathartic and healing for all, residents, loved ones, and staff. In addition to providing expert medical care and pain management, we offer sensitive emotional and spiritual support. Based on the resident’s wishes and capabilities, we also provide social opportunities. Our team is experienced in assisting residents and loved ones through the grieving process. We can offer referrals to grief support entities for family members, as well. In support of our families, we can help navigate the applicable Medicare benefits. If you and your family are going through this sensitive process, know that you are not alone. Our team at The Neighborhoods by TigerPlace are here and ready to help guide you through the end-of-life journey. When you’re ready, reach out for more information.